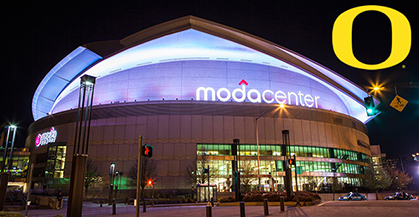 Tickets are on sale for the Portland Classic, which will bring both the University of Oregon women’s and men’s basketball teams to the Moda Center on Saturday, Dec. 17. The women’s team will face Portland State University at 5 p.m., followed by the men’s team going up the University of Las Vegas at 8 p.m. Tickets range from $20-$55 and can be purchased through the Rose Quarter Box Office. The Oregon Club of Portland will host a special event the night before, featuring Dana Altman, coach of the men’s basketball team, and Kelly Graves, coach of the women’s team. The 2016 Tip-Off Dinner is at 6 p.m. on Friday, Dec. 16, at the Multnomah Athletic Club. Tickets are available at the Oregon Club of Portland’s website.